There are a lot of file formats that can be used in storing your videos depending on your needs. MOV and MP4 are two file containers that are usually used to hold lossy video. Lossy video compression methods discard portions of the video data that it deems to be of less importance. The resulting video are substantially smaller while maintaining the quality loss at a minimum. 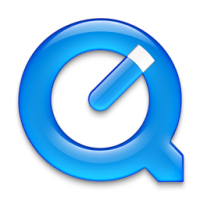 MOV was originally developed by Apple as a file format for its QuickTime movie player. The MOV format presented a lot of advantages that are quite usable to everyday use but the proprietary nature of the MOV format was a major hindrance. The MP4 file format was later developed as an industry standard, the developments was greatly based on the MOV file format to the point that they were exactly identical at first. The changes that were introduced were very minor and mostly involved data tagging information. Since both formats record the same lossy compression methods, they are almost interchangeable in an Apple environment. You can even convert a file from MOV to MP4 and vice versa without having to re-encode the video. But outside of the Apple operating system, you might run into some problems. As MP4 is an industry standard, it has greater support in operating systems other than Apple’s. Most, if not all media players, that are available in various operating systems support this file format. Even in hand held devices like video players and gaming devices, you are more likely to find MP4 capabilities than MOV. Ben Joan. "Difference Between MOV and MP4." DifferenceBetween.net. June 22, 2017 < http://www.differencebetween.net/technology/difference-between-mov-and-mp4/ >. Thank you! That was exactly the answer I was looking for. You do mention that MOV/MP4 are just containers (not codecs), therefore it is actually wrong to say that they are “lossy formats”. One can store lossless video inside MOV and MP4: For example, FFV1 or uncompressed in MOV. There is even a lossless version of H264 (which is also part of MPEG-4). You might want to correct that statement? Yeah, this is the “difference between” a generic consumer answer that amounts to “you don’t really need to know that”, and an answer given by a professional to people wanting the details. Excellent! A clear, explanation of these different containers. This is a good article and helped me decide on a format to use. While I generally agree on the idea that the target platform should be a key factor, the reality is that the MP4 standard provides much more flexibility today than it did when this was written. Also PSP = “Production Software Package” (for video work). I had to look it up. One example (not a recommendation) is “Adobe Premiere Pro”, but there are others. I have just purchased a Mavic Pro and produced two 4K versions of the same flight using .mov and .mp4 using iMovie on my iMac. Yes the file sizes are vastly different with the .mov file being very large at more than twice the size. What I do not understand from the comments I see from others about .mov and .mp4 video quality, is that my results are quite different. The .mov file is by far much better quality than the same video using .mp4. It seems to me that the larger .mov files are containing a lot more information than the .mp4 files (a huge amount more) and this is reflected in the results when played on my iMac 5k Retina screen. Grass, for example, is a little blurred on the .mp4 video and crystal clear on the .mov video. I do not understand the comments that suggest the quality output is the same for .mov and mp4 when my experience is the opposite. MOV/MP4 are just containers. The bitrate of the contents is primarily what determines the size. If all settings are the same, MOV/MP4 output should be nearly identical in size for a particular video. iMovie probably has different default settings for MOV and MP4. Also beware that different content formats have different efficiency ratings when trying to achieve an equivalent perceived quality. For example, ProRes (high bitrate per pixel) vs. H.264 (much lower bitrate per pixel).